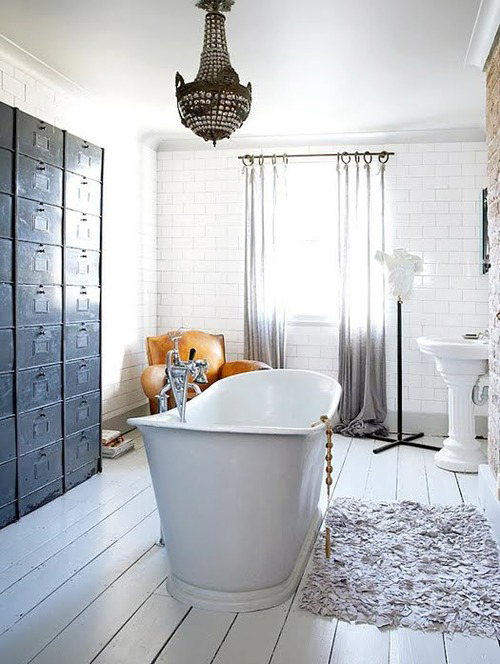 Today I’m loving … this gorgeous bathroom. Me too! I love the antique drawers and the leather chair in contrast with all the white. And that bathtub. I want it. lovely, bathroom, my dream bathroom. mesmerizing! i think i could live in there..
Nice bathroom… I wish i have a bathroom designed like that.